last week one of our followers was asking for an article about the shoe storage boxes and benches. so, today's article focus on shoe storage, we offer a collection of designs and ideas for shoe storage benches and boxes. If in the hallway you provided special place for shoes, and it is littered with shoes in all sizes and styles. Then the end of each season turns to torture, because you need to attach a brushed and dried shoes, so it does not gathering dust under your feet. 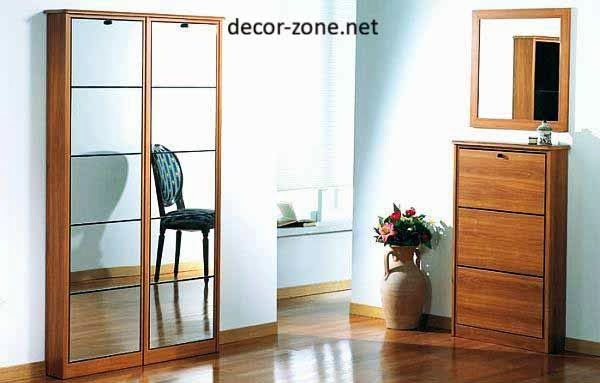 Especially that fashionable women who have huge collections, need not just tables but shoe storage boxes and shoe storage bench. The set of furniture for the hallway Mataro include original wall boxes for shoes. It is practical, beautiful and perfect for everyday use. Shelves for shoes not so functional as expected. Everything on them is mixed, can not see anything, so it is not practically impossible to find the right pair. Pull-out shelves within a traditional boxes make it easy to browse the entire collection of shoes. 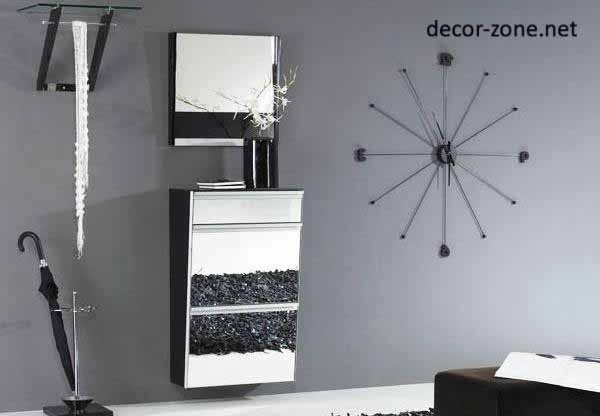 Elegant set of Sirio collection from the Italian manufacturer Arredokit, consisting of a shoe storage bench with mirrors and hangers for clothes and umbrellas, the original clock. Looks very elegant. Ideal for a small hallway. 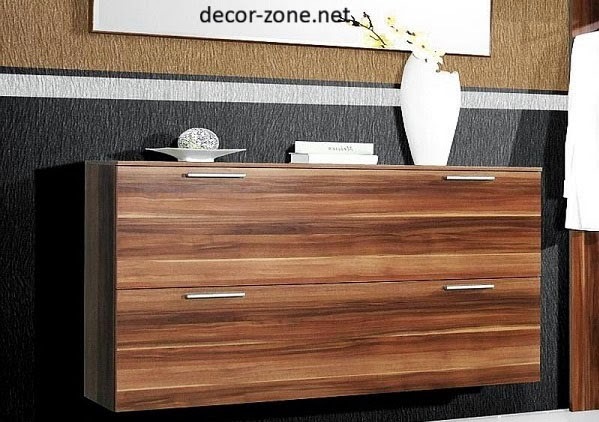 Glossy set of furniture for the hallway from the Italian manufacturer Arredokit, consisting of several storage boxes. 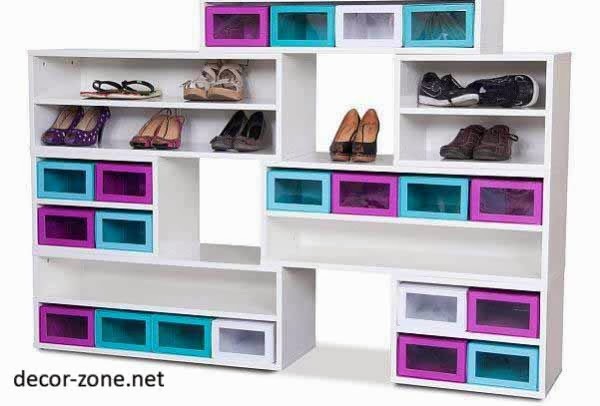 Elegant white shelves crammed with brightly colored shoe storage boxes. 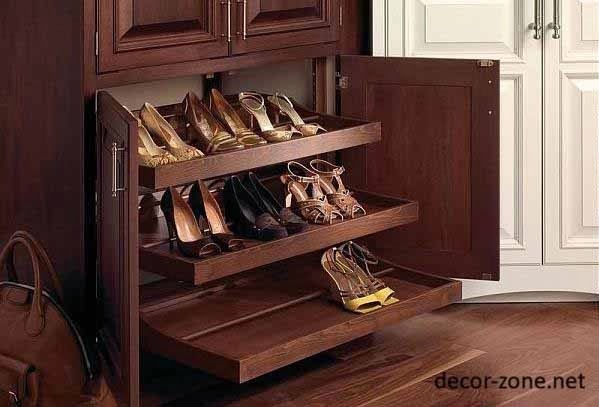 Ideal not only for storing shoes, but also small things. To make a good impression, quite simple and strict lines. Collection from the Italian producer AD Arredokit, consisting of wooden shoe storage boxes. 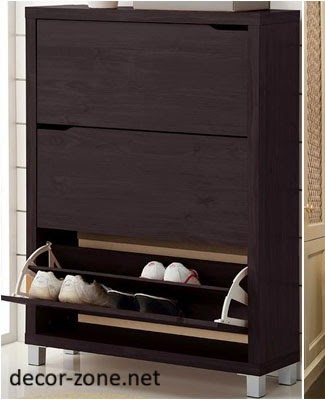 Chinese company Donguan houjie Jiafeng offers an amazing shoe storage bench. If you have a lot of shoes, sometimes you have to allocate space for it not only in the hallway, but also in the bedroom.